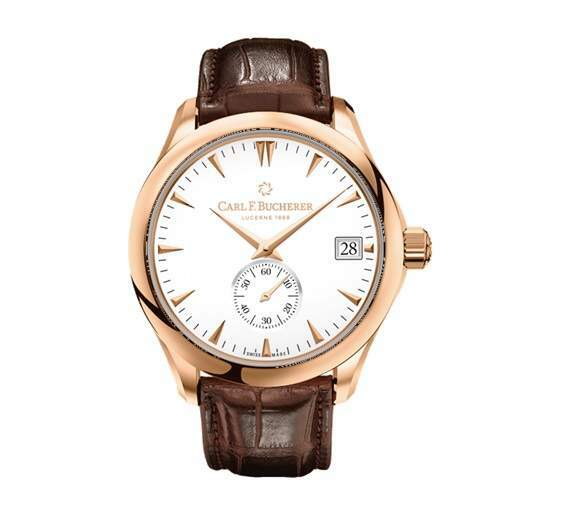 Founded in 1888, independent Swiss watchmaker Carl F. Bucherer designs and produces all of its timepieces at its workshop in Lucerne. One of the few watchmakers that has mastered a peripheral rotor, and showcases it in a new movement family for 2016, it has both technically impressive watches and beautiful gem-set jewelry watches. Manero Peripheral The new CFB A2000 family debuts in the Manero Peripheral. The A2050 automatic caliber has fewer components but keeps its award-winning peripheral rotor, which winds around the movement, not over it. The dial is redesigned as well, with a smaller date at three o’clock and a seconds subdial at six o’clock. 18K rose gold, $18,600. Pathos Swan For ladies, the manufacturer shows its remarkable skill with jewelry watches. The Pathos Swan has 922 diamonds and sapphires on the case, while the dial and strap has a swan motif on the mother of pearl dial. 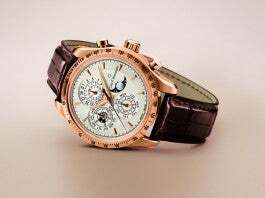 The watch is limited to 88 pieces; each is made to order. 18K rose gold, $171,600. Patravi TravelTec II New this year is the Patravi TravelTec II, a chronograph with three time zones. 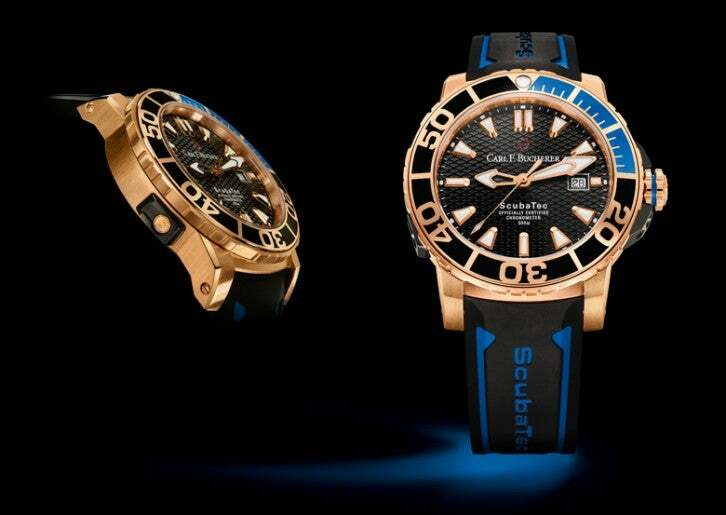 The 47.4mm watch has a rose gold case, black dial, black strap and is water resistant to 100m. The second time zone is easily adjusted with a pusher at 10 o’clock that moves the bezel forwards or backwards by an hour. 18K rose gold, $48,000.